It is the last day of August, so my last chance to post to this blog this month. This summer has been interesting. I am going through a few changes. Mostly because I got so sick in March and needed to do something. Well, first off I have lost the 50 pounds I gained in my 40’s. It is a lot of work losing weight. I still want to lose about 20 more, though according to charts I am in the normal range for my height. Won’t my doctor be surprised at my plaquenil check next week? Next my knees do not hurt like they use to. I am sure they both appreciate the lighter load I am now placing on them. In the September issue of “Better Homes and Gardens”, there was a little article about cheap sneakers being better for the knees than fancy sports shoes. Something to do with the flexible soles. I am now prancing around in these Converse All*Stars. I love them. Maybe this style won’t be so popular with the kids once they realize that they are grandma’s favorite shoe too. As I mentioned in an earlier post, I am now a vegan. Why animal protein makes Lupus symptoms worse, I do not fully understand. Luckily there seems to be more people sticking to a vegan diet, so there are lots of new prepared food choices on the market. I have been able to find meat substitutes for most of our favorite dishes. I am trying a few new to me foods too. At the market one day I saw these cute green turnips called Kohlrabi. I love them. They are a great snack food. Just peel, slice, and eat. To me the taste is something between a cauliflower and potato, while the texture is crunchy, but softer than a carrot. At only 20 calories, one fills out a diet lunch quite nicely. As the title of this post suggests, I feel like my life is moving in a new direction. I am just not sure exactly where I am going to end up. I have been sewing on Belle at my mastery classes. My plan is still to post more on the advantages of sewing on such a marvelous computerized machine. Hopefully I will be able to make time soon. I am excited to begin sewing a new wardrobe for the new me. This entry was posted on Tuesday, August 31st, 2010 at 3:58 pm and is filed under Life. Tagged: Life. You can feed this entry. You can leave a response, or trackback from your own site. Love the new shoes! 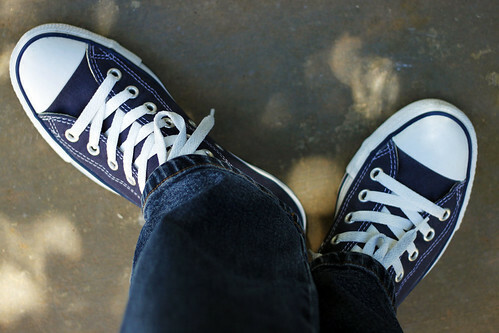 Converses are so classic. I’ll have to try the kohlrabi, I’m always looking for something to snack on that is good for me. I agree, weight loss is hard. I think maintaining is harder. I’m not there yet but working on it! Congratulations on the weight loss. Since kohlrabi are in the cabbage family, they have all the nutrients of that family of veggies. Looking forward to the new sewing projects. Congratulations on the weight loss! That’s a road I just started on. 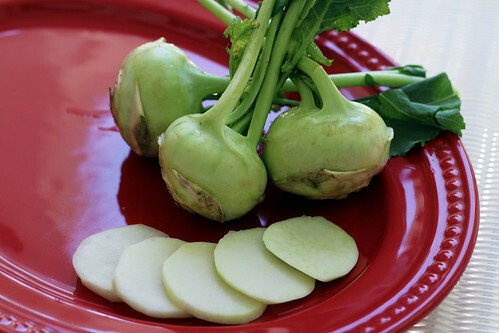 I always see kohlrabi and never knew how it was used–thanks for the information. What wonderful news! Congratulations on the pounds off – those of us who struggle with weight control sure know how much work it takes. Also so good to hear that you are feeling better in general after a rough spell. I am finding that being on vacation is not kind to good eating habits…all the food here in Alaska is just too tasty. I will have my work cut out for me when returning home. Have a very good week and take care. Congratulations on finding an eatingplan (I hate the word diet) that works for the Lupus and helps your knees. So glad to read this good news. Hope to seeyou next month!